Sometimes you can’t beat the value of a classic. The Flak™ is a true skate-style helmet with a low- profile ABS shell for durability, and a light EPS liner that helps to absorb impact energy. The full set of Fit KitTM pads allows you to tune the fit for a snug-yet-comfortable feel, too. No distractions, no frills, just straight-up coverage that won’t let you down. The Flak features a durable ABS shell, plush padding, and super sweet graphics to round out your look. 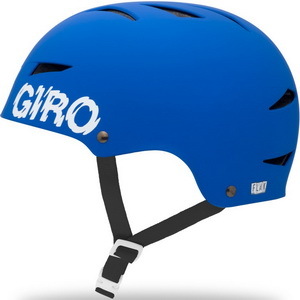 Available in three sizes and multiple color and graphic combinations, its the right lid for the job.